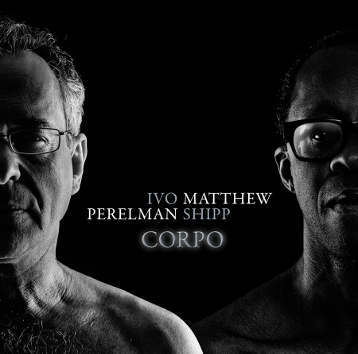 Matthew Shipp: "Corpo is the ultimate coming together of everything Ivo and I have been working on for years. Recording this CD and hearing it back rang every bell to me that this is apotheosis of the Perelman/Shipp duo cosmos. Our duo CD Callas was a breakthrough for us. Corpo is the ultimate flowering. Ivo and I made a complete and utter commitment a long time ago to pursue a rarified duo language and cosmos... there is nothing remotely like this in the world. I hope this CD can find its audience."